This is a post I wrote back when we went to Uganda, but never got around to putting it up! “Can you give us money for school fees?” they asked us. “We have all taken in orphans, but we can’t afford to pay their school fees.” Christina and I explained the Global Grassroots model of giving money to support sustainable social ventures instead of individuals; in other words, no hand-outs. But they really wanted a donation. We’d been warned about this ‘Dependency Syndrome’ in the north: after living in IDP (Internally Displaced Persons) camps where their every need was provided for by NGOs and there was no real need to work, some people are struggling to adjust back to normal society. “We try to hold a training and I’m in the middle of introducing myself when someone says, “What are you giving us? Food? Money?’ “No, I’m giving you training’”, explained an NGO leader in Kampala, betraying her frustration. When the women in Lira tried another tactic and asked me to buy an overpriced, unattractive and unfinished pot, I stared at the lumpy clay and sloppy silver paint and tried to remember that some of them had probably lived over 20 years in the camps. They knew life could be sustained entirely by foreigners. I didn’t want to think about their children who were born in the camps and denied the experience of witnessing people working to support their families. “What would I do with a pot like this?” I tried logic. “How will I get it back to Kigali? It’s bigger than that child!” I tried logic with a bit of humor. “It’s too big! And I don’t really like the color. If I take this pot now, you will find it on the side of the road in two kilometers.” I was straightforward, and they laughed again, finally accepting defeat. We continued talking: about the war, the poor planting weather and finally our social change model and the conditions of women in Rwanda. Two women, Josephine and Betty, spoke directly to us in English, indicating a decent education. We acquiesced their requests for photos and stood up to go. But they couldn’t help one more appeal. They laughed. “The child! The child!” We all laughed, somewhat anxiously. The next day, typing reports in a coffee shop in Kampala, my phone rang. 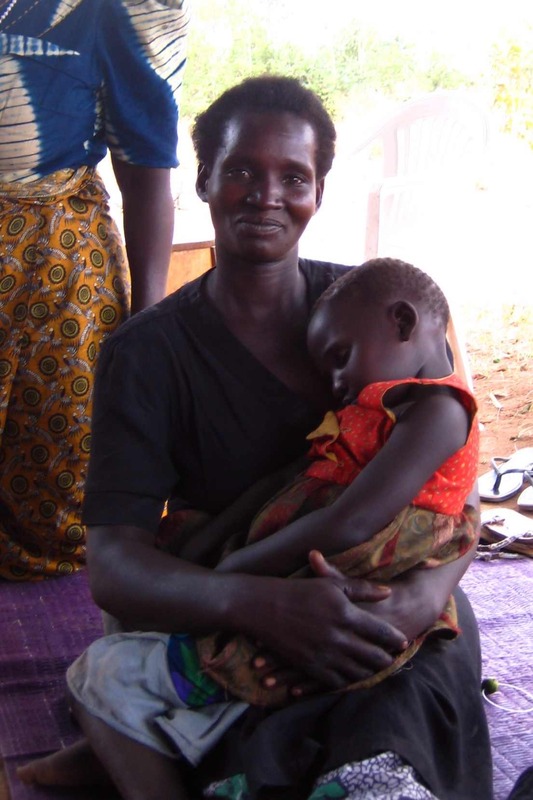 “Hello?” It was Josephine, one of the English-speaking widows from Lira. She had bought credit for her pay-as-you-go cell phone to call me and wish us a safe journey to Rwanda. “And tell the Rwandan women we say hi! Please send them our best wishes.” Mixed in with their offers of pots and orphans and the undeniable burdens carried by women after the war was an interest in a sort of cross-cultural friendship. They were calling me because they felt a sort of kinship with other female victims of war. Or, depending how cynical I’ve become, just because they wanted to practice their English. We covered a lot of ground in Uganda: Entebbe, the Ssese Islands, Kampala, Jinja… then up north: Gulu, Kitgum, Pader, Lira. We met with two dozen Ugandan individuals and organizations involved in social entrepreneurship, women’s empowerment, or trauma healing. The following are visual glimpses of a few of the organizations we met and a few of the places and people that made us marvel. Kalangala, on the Ssese Islands. The Ssese Health Effort for Development (SHED) advocates for the most vulnerable members of the islands' population. Their current focus is on economic empowerment of marginalized or HIV+ women. SHED were amazing hosts, and Caitlin and I loved our time in this beautiful environment, learning about SHED's tremendous diversity of initiatives. 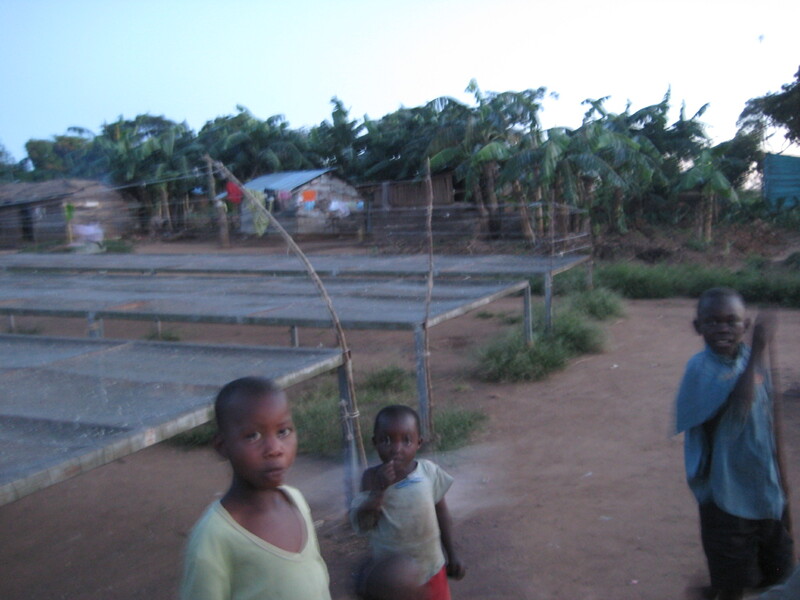 SHED helped build the fish-drying racks in this fishing community. The racks now belong to a group of community women identified by local leaders as particularly vulnerable. 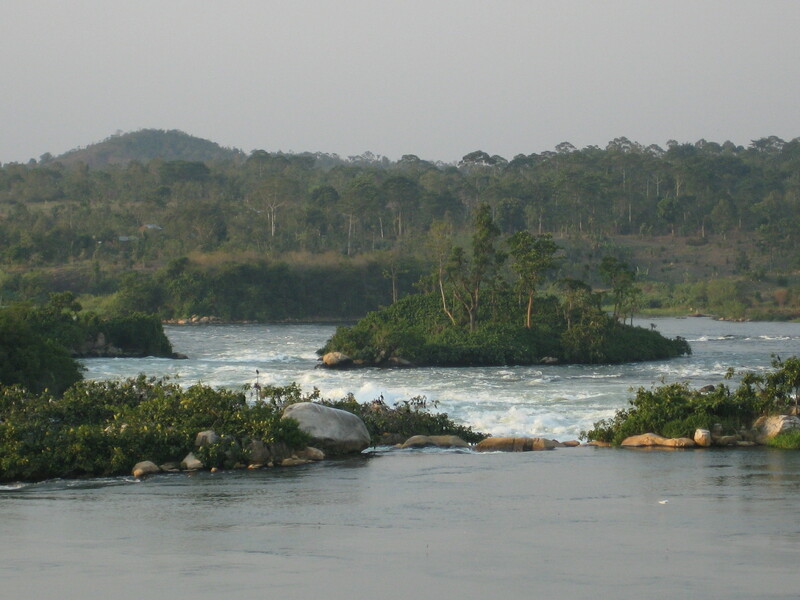 Rapids on the Nile! 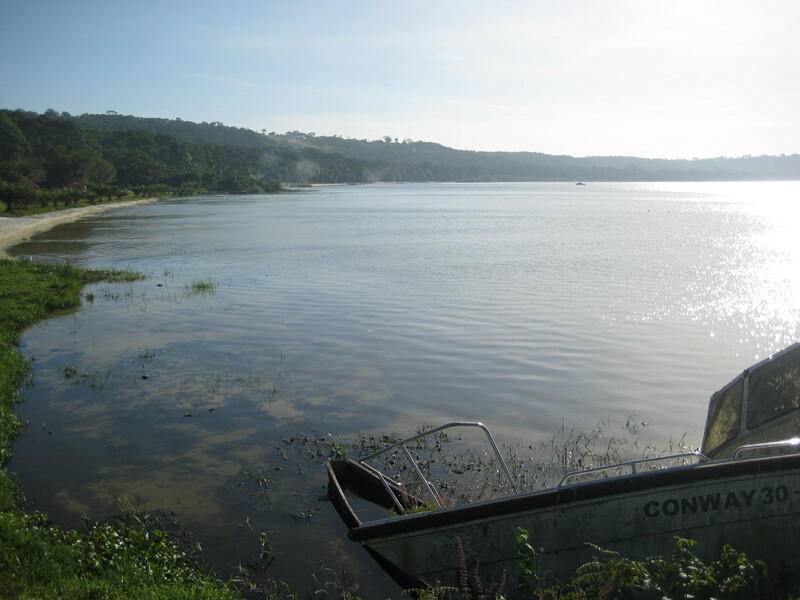 Near Lake Victoria, the Nile's source. This photo comes nowhere close to conveying the real violence, power, and size of the river. 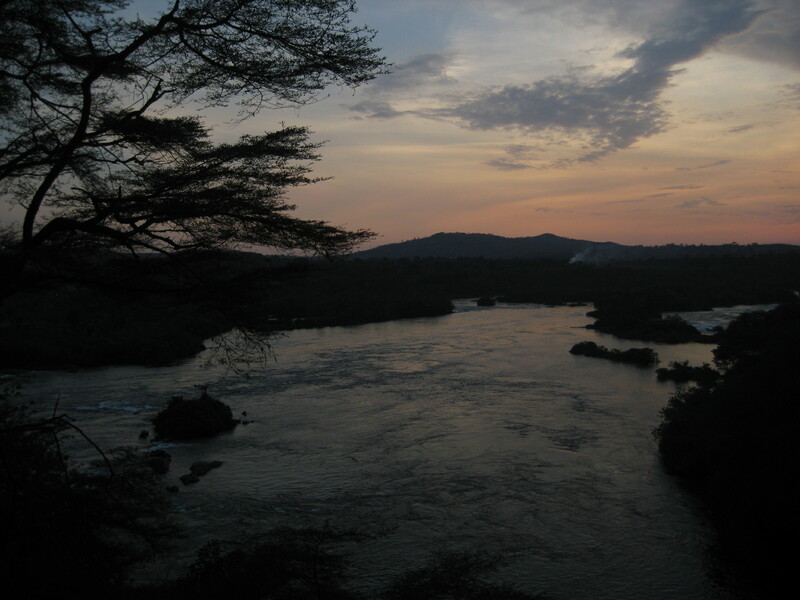 The Nile at sunset near Jinja, Uganda. 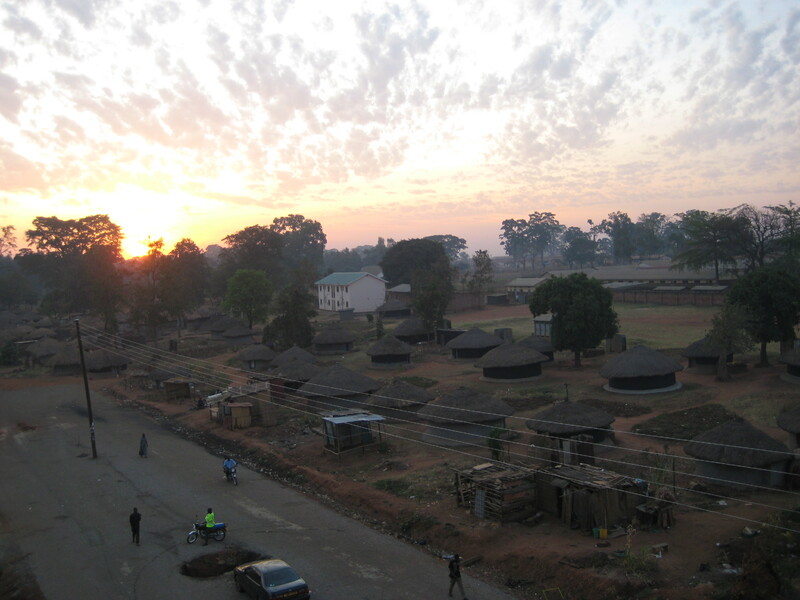 Gulu town at sunset. 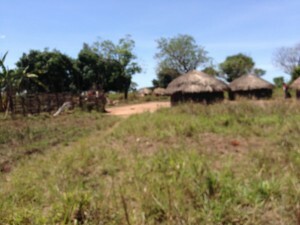 The round, thatched homes are characteristic of the northern region/"Acholi Land." During the many years when this region was ravaged by the LRA, masses of "night commuters" (rural children afraid of abduction into Joseph Kony's Lord's Resistance Army of child soldiers) slept on these "urban," slightly safer streets every night. Hearts with a Safe Harbor works with at-risk youth in Gulu District. 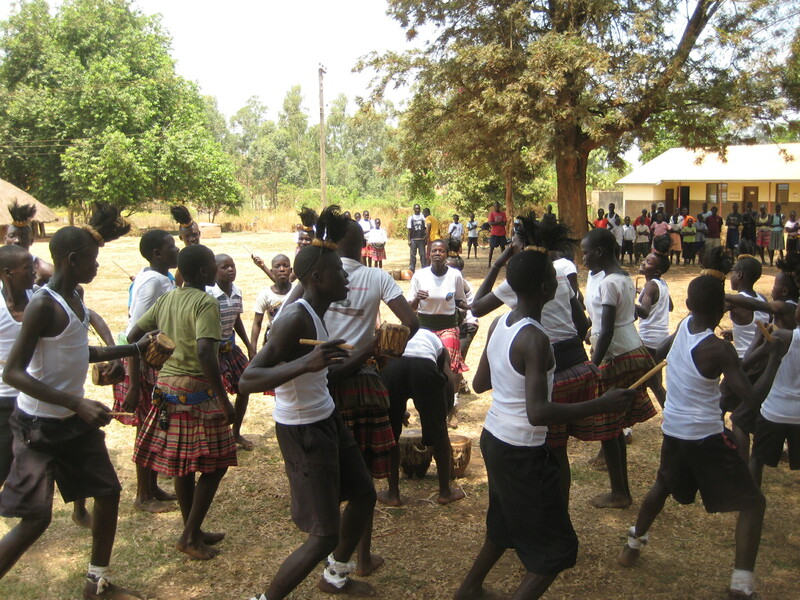 Here, one youth group performs a traditional Ugandan dance. Another youth group dances! Drummers are just out of sight. 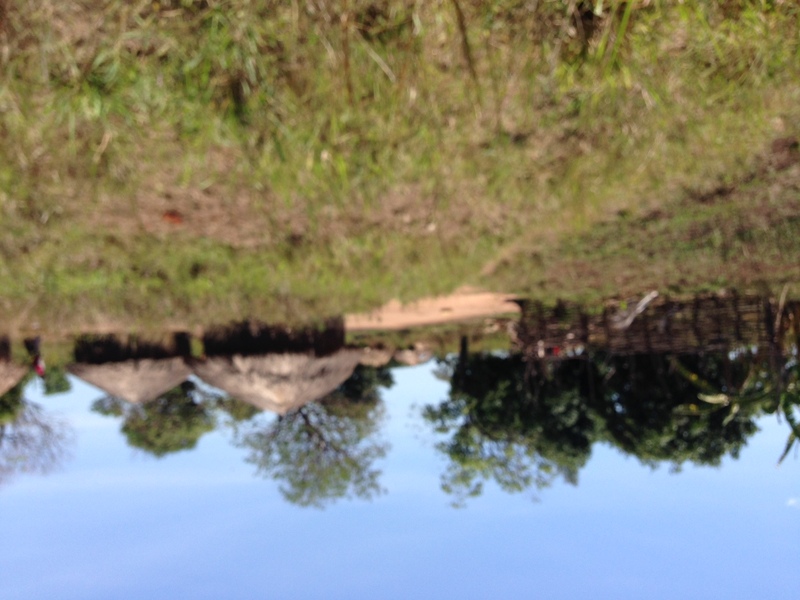 A home in Kitgum, another recovering region of the north. This morning, a women's group that is part of the grassroots organization Live Again is learning to build fuel-efficient stoves from termite mud and sawdust. The cost of firewood is prohibitively high in this area. The group plans to share their new knowledge with several of the other Live Again groups, who will in turn teach women in their communities. 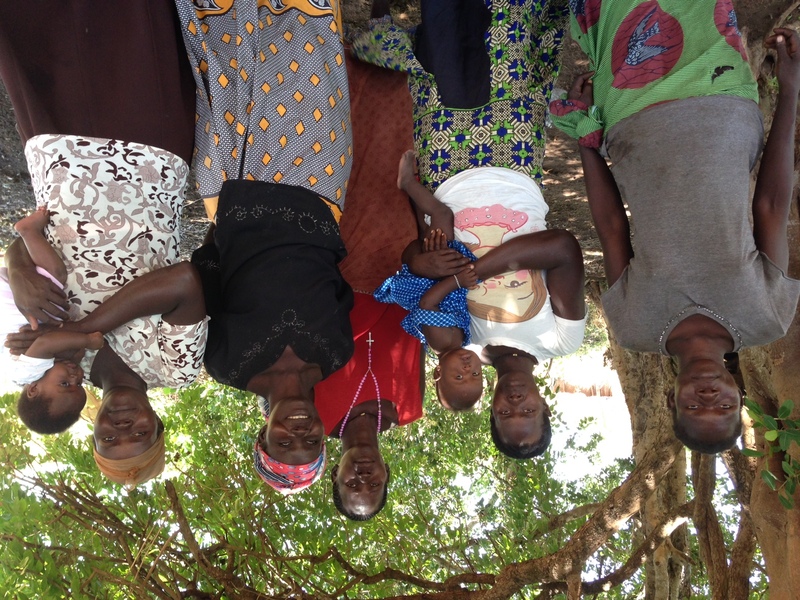 This "self-help" group of women is supported by CRO (Child Restoration Outreach) of Lira. Members contribute a very small amount of money each week that, when pooled, provides one or two women the capital to start a small business or other economic venture. Next week, it's someone else's turn. 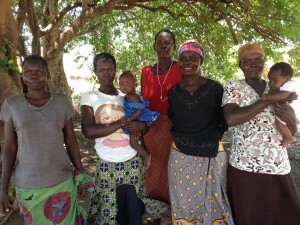 The women pay back the loans after a month with interest, so the group's collective capital continues to grow. Some women's groups take on social initiatives, too, like combating the stigmatization of HIV/AIDS victims. 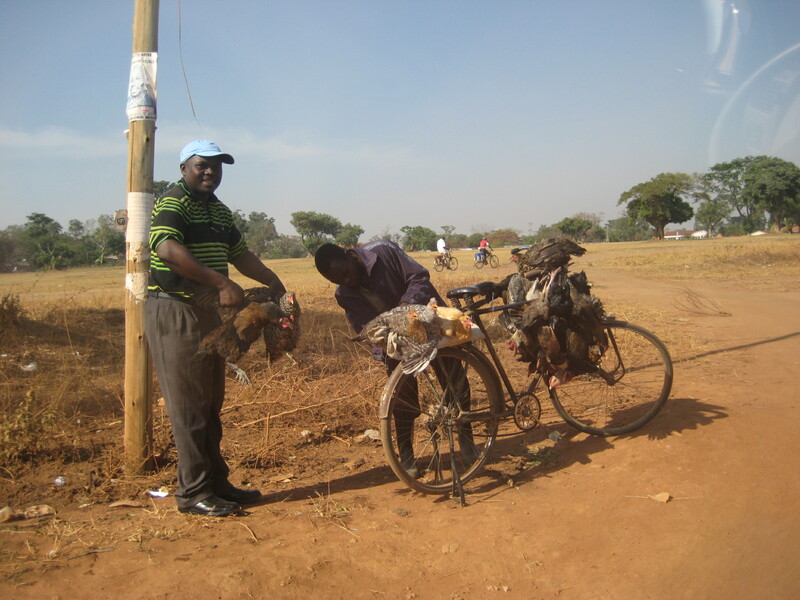 Our friend and driver in the north, Joseph, stops to buy some chickens on a roadside in Lira, northern Uganda. 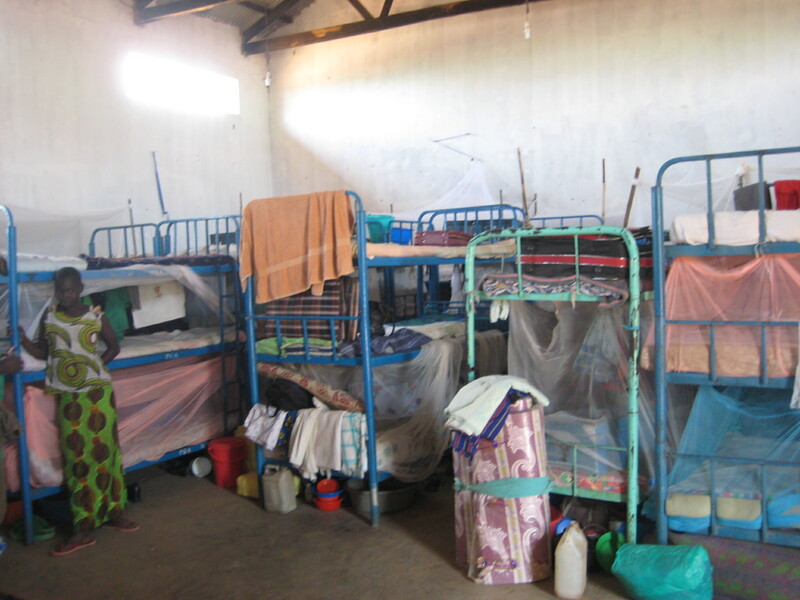 A dormitory at the Pader Girls Academy. Pader District was horribly affected by the north's decades of civil war. Pader Girls Academy provides a high school education or vocational training in tailoring or catering to girls whose schooling was disrupted by the war. Most students fall in these categories: teenage mothers, orphans, child heads of families, and formerly abducted girls who were given to Kony's soldiers as trophy "wives."